After posting different blog about Cloud and how to use the console what about the putty ? 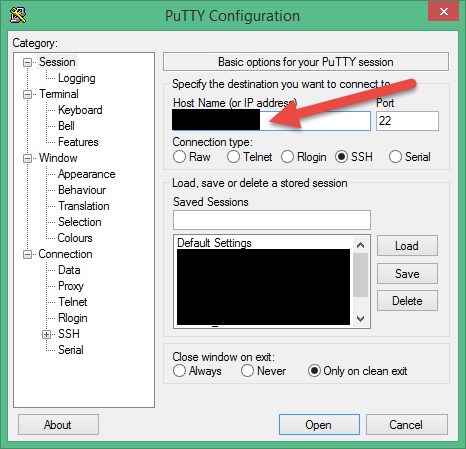 Download and install PuTTY from here. In host name put the ip address for the cloud services. Connection type should be SSH. After This On the left Panel Choose SSH –> Auth, and Click the Browse button next to the Private key file for authentication box. Then, in the Select private key file window, navigate to and open the private key file that matches the public key that is associated with the deployment . You should remember the password for this or you need to add another SSH key. By Default you are connecting as Oracle user. if you want to use root access you should connect as opc user then ssh password and run “sudo -s” to switch to root user.